Pounding rain didn't stop several dozen people from crowding into a small park in downtown St. John's Saturday as part of the Occupy movement. 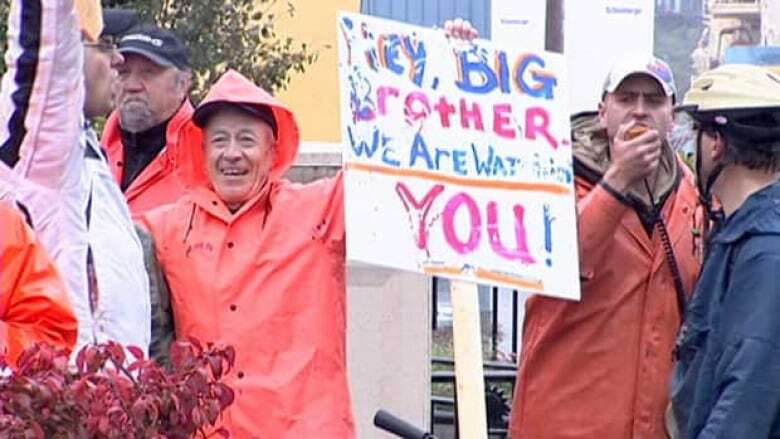 Pounding rain didn't stop several dozen people from crowding into a small park in downtown St. John's Saturday to add voices to the global rallies inspired by the Occupy Wall Street movement. The rally was one of a series held across Canada on Saturday. Lana Payne, president of the Newfoundland and Labrador Federation of Labour, said the movement's message resonates in a city and province that have a booming offshore oil industry, but where many people are still left behind. 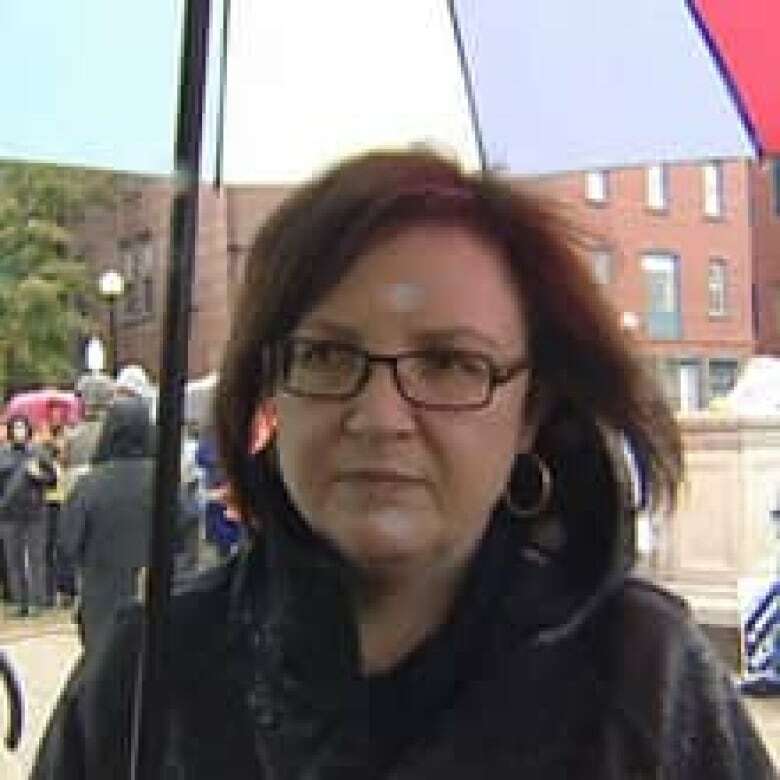 "We have prosperity in Newfoundland and Labrador — the challenge and the problem is how the prosperity is being shared," Payne told CBC News during the demonstration at Harbourside Park, off Water Street. "I'm incredibly encouraged that we're doing this in our province and that we're joining in with citizens all over North America to say that there's something wrong with our economic system, and that we need to fix it." The Occupy Wall Street demonstrations began at Zuccotti Park in Lower Manhattan in September. Demonstrators in St. John's said they are fed up with such issues as corporate greed and the power of multinational banking.